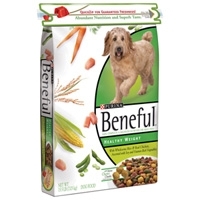 Beneful Healthy Radience Skin/Coat 15.5 lb. 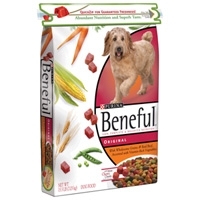 Beneful® brand Dog Food Healthy Radiance® provides a perfectly balanced meal that helps keep your dog radiantly happy and healthy. 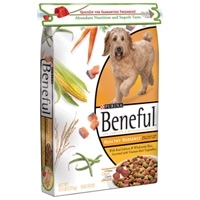 It’s made with real salmon and wholesome rice, and accented with vitamin-rich vegetables. 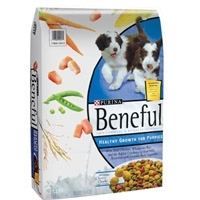 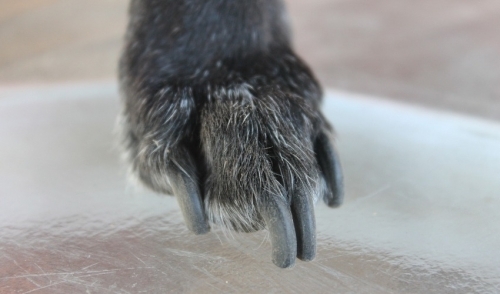 Beneful Healthy Growth for Puppies has six distinct pieces that represent real, wholesome ingredients that help puppies grow happy, healthy and strong.